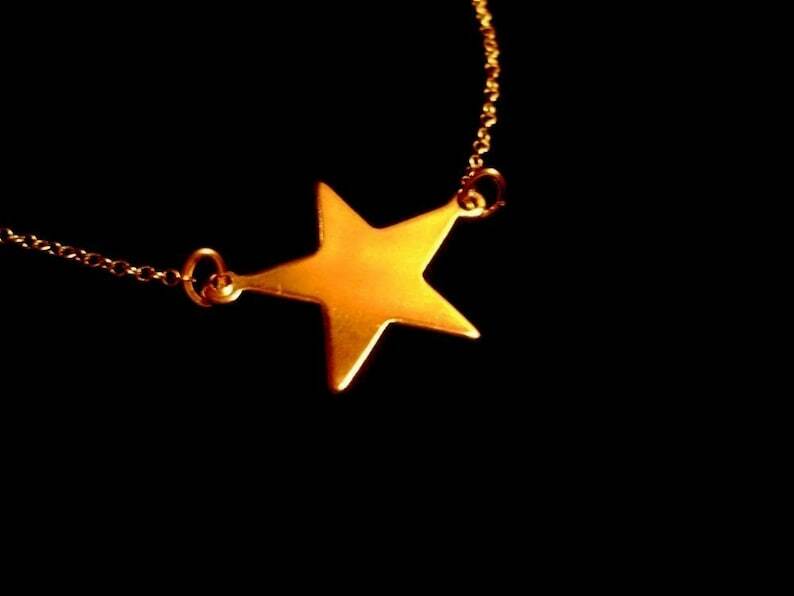 This necklace is made with a brass star charm hanging from a delicate 14/20 gold-filled chain. There is a 14/20 gold-filled spring ring closure. This necklace has been designed to be worn as a choker, however, it can be made into a longer necklace as well. The necklace measures approximately 15 1/4 inches but can easily be adjusted upon request, at no additional cost. Thank you Ling, for mentioning that Emma Watson wears a similar necklace in "The Perks of Being a Wallflower." Thank you to Corinne, for pointing-out that Dakota Fanning wore a similar necklace in "The Runaways." The necklace is beautiful. My daughter will love it! Adorable. Super fast shipping, amazing customer service! Such a wonderful necklace! Have been wearing it constantly and received many compliments. Shipping (to Germany) was super fast and Rachel is such a lovely person.